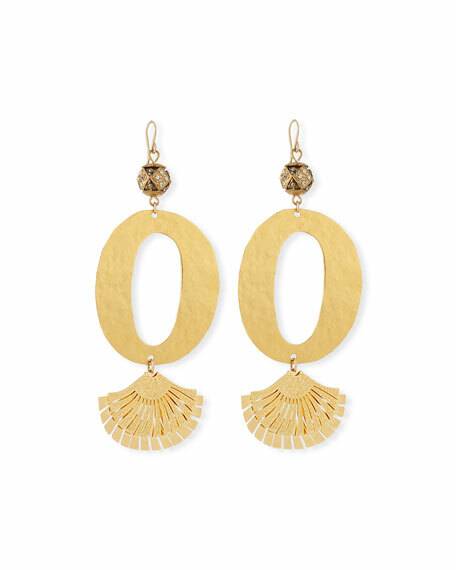 Devon Leigh hammered oval fan earrings. 24-karat yellow gold electroplated drops. Hammered 18-karat yellow gold plating. Sphere drop with round clear crystals. Open oval center with fan dangle.